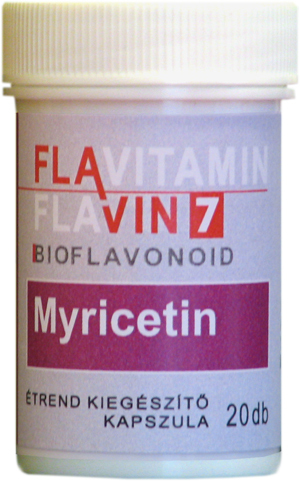 Flavin 7 and its outstanding active ingredient, myricetin have got strong anti-inflammatory and regenerating properties. It is supported by research results that ageing processes and cerebral functions (e.g. Alzheimer-disease) and its formation are inhibited by its use.